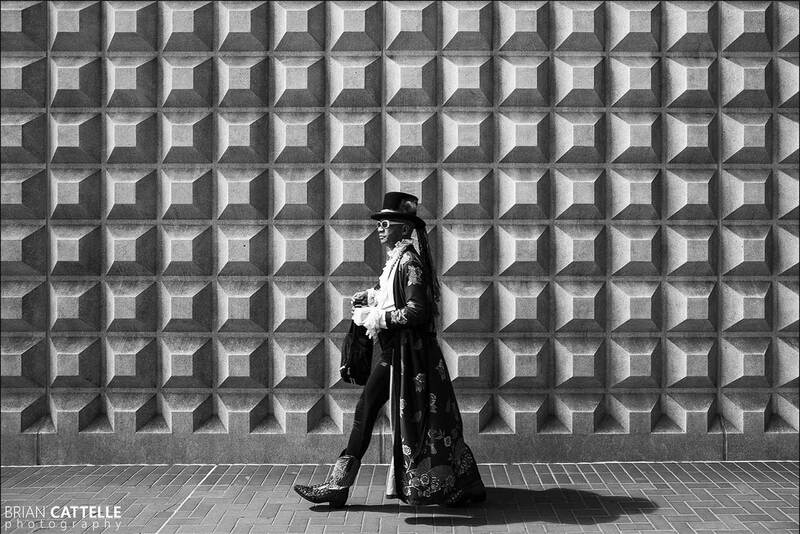 A photograph of an eccentric man walking down the streets of San Fransisco in front of a brutalist style wall. This photograph is printed on high-quality LightJet print on Ilford B/W Paper and protected by a matte lamination. Each print is signed and numbered en verso with a certificate of authenticity.